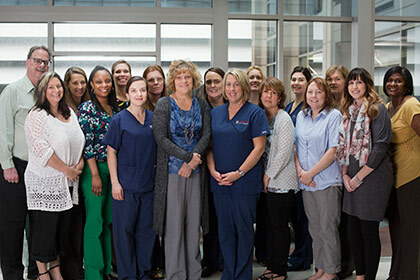 The 2016 Nursing Excellence Award recipients at the annual Nursing Excellence Awards Ceremony. James Queenan was a young man diagnosed with Ewings’s Sarcoma, a malignancy of the bone and soft tissue. 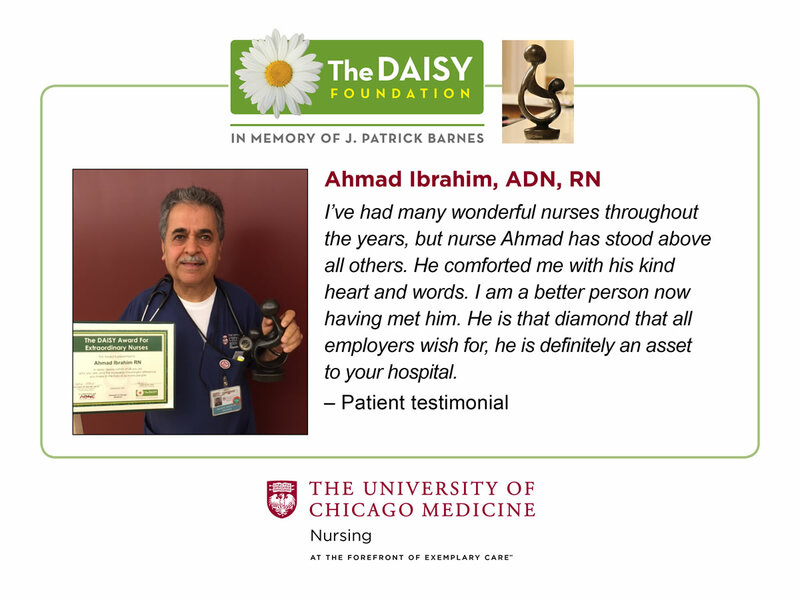 He received his chemotherapy treatments and supportive care at the University of Chicago Children’s Hospital. He unfortunately died of his disease in 1988 at the age of 22. 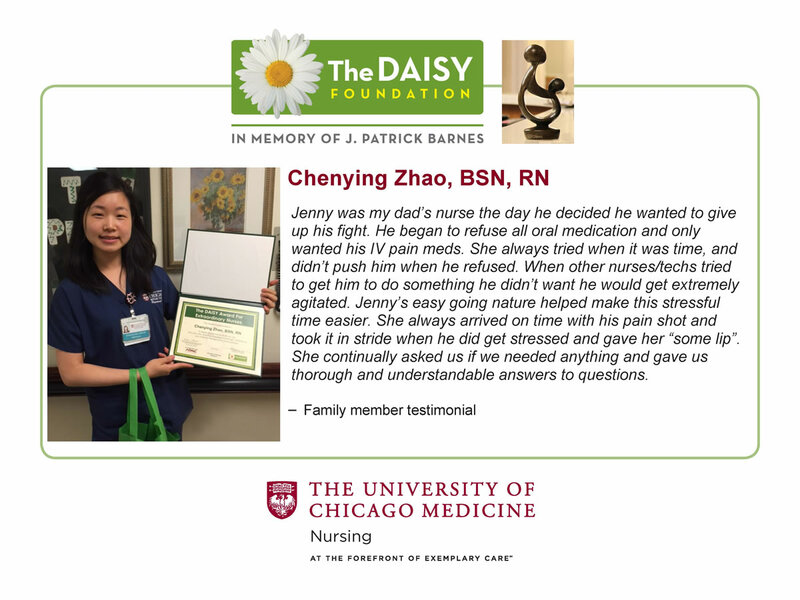 In James’s memory, his parents established an award in recognition of the wonderful care and support he and his family received from the nursing staff during his illness. 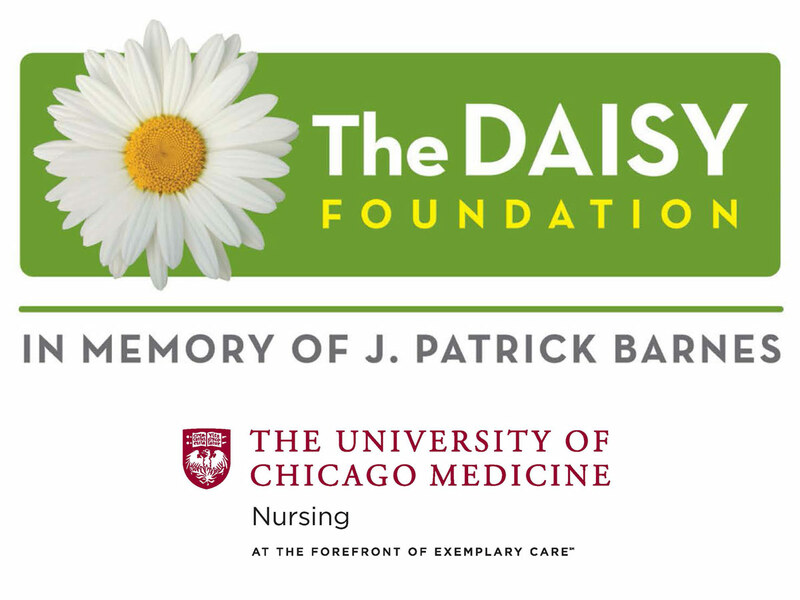 The Patricia Morgan Award, established in memory of Patricia Morgan, recognizes excellence in oncology nursing practice. 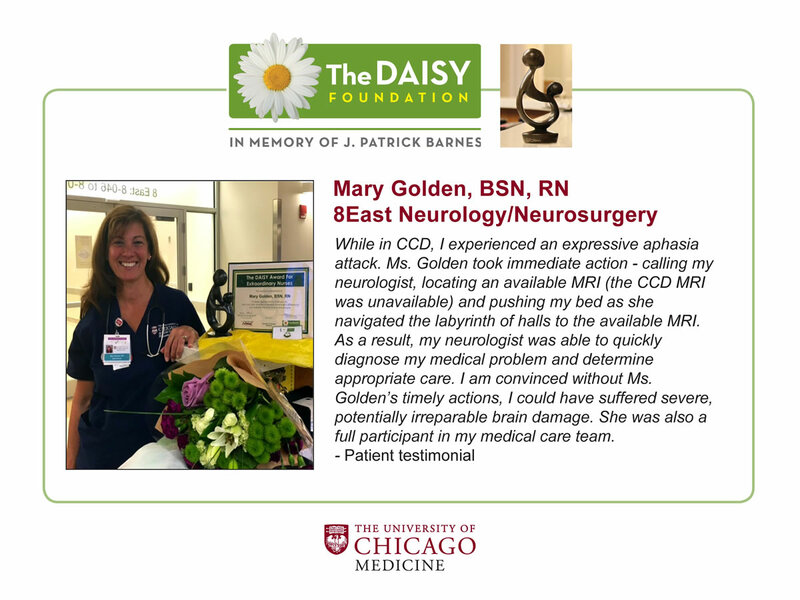 Patricia Morgan was a nurse who eventually succumbed to her cancer. 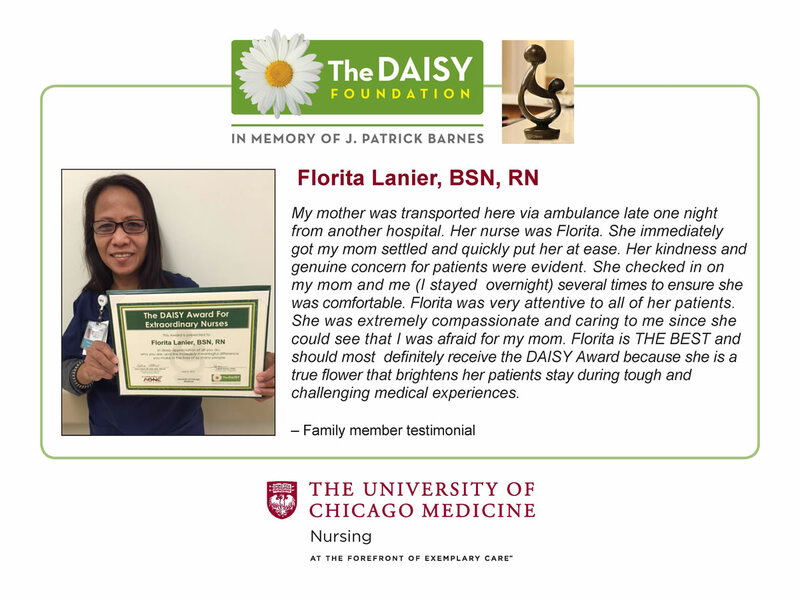 Patricia always felt strongly that nurses should be recognized for their excellence and hard work, and her family concurs with this. 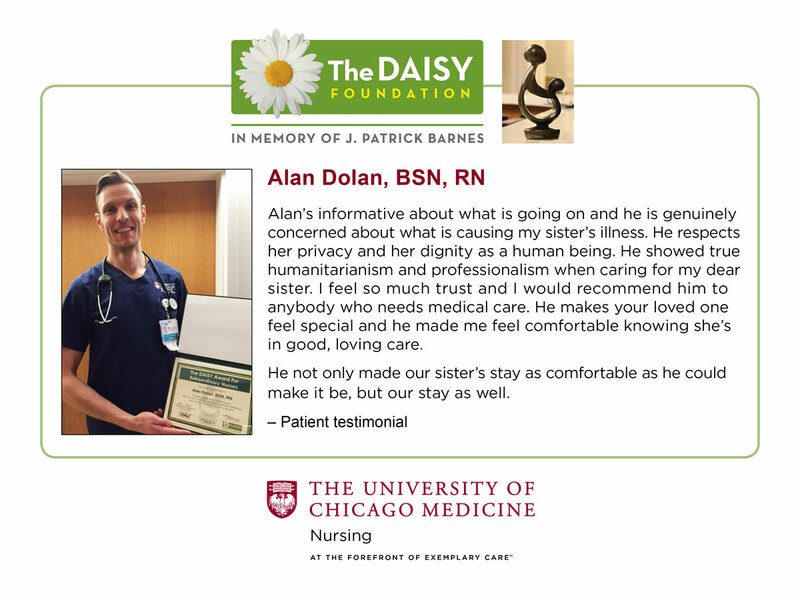 The recipient of this award is an oncology nurse who exemplifies excellence in patient/family care and who is a mentor to less experienced nurses. 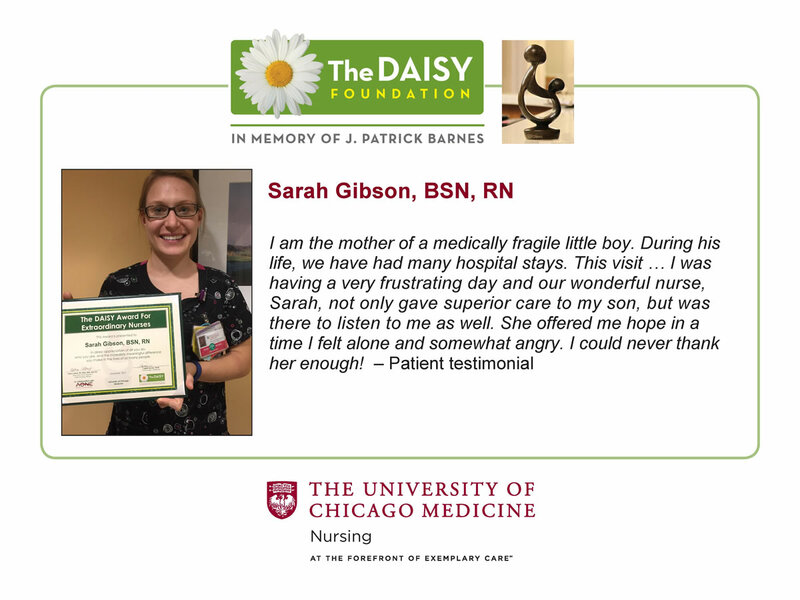 The Morgan family started this award in 1992 in Patricia’s memory, and it is presented every year during nurses’ week. 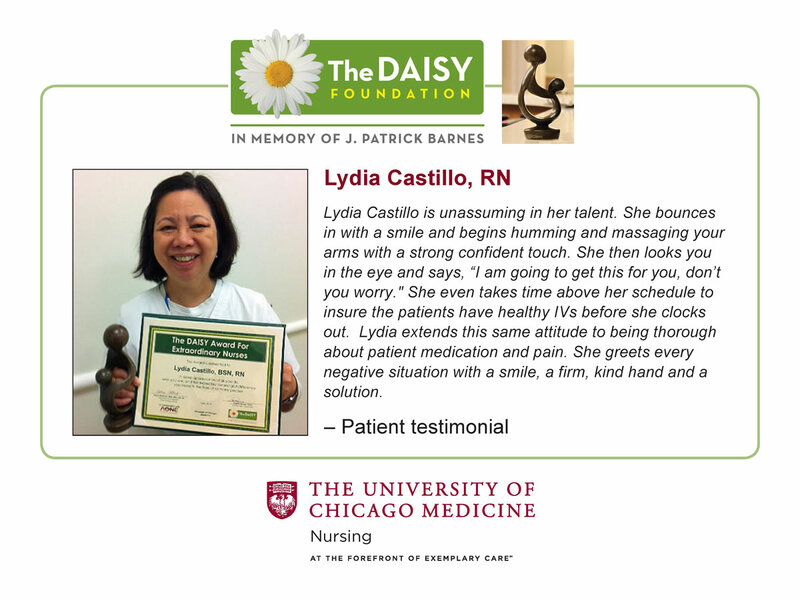 All 2016 Nursing Award recipients were nominated by their nursing peers or their manager. 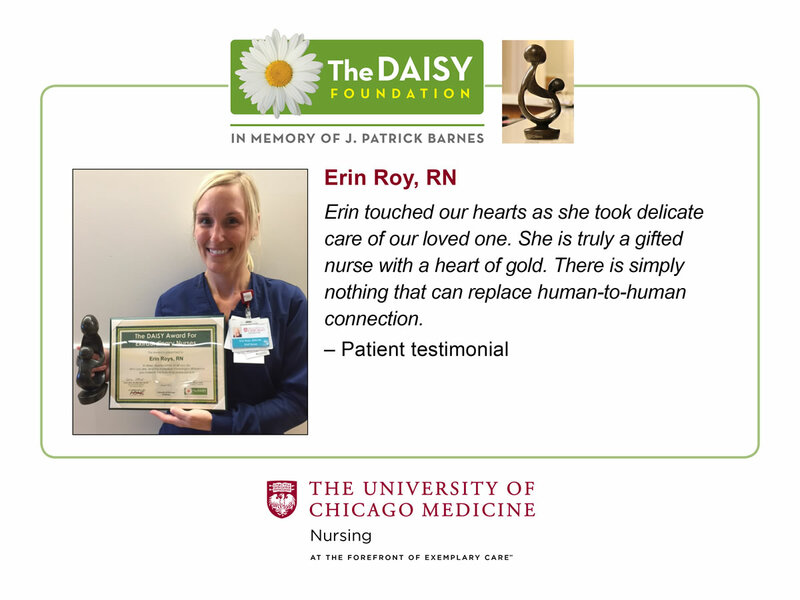 Each one has demonstrated care and compassion to patients and families and exemplifies excellence in nursing practice.